Yesterday it was the second day of my theme week “in honor of grandfathers and their gardens”. As I told you, it’s my goal to make every day one dish with the vegetables of my grandfathers’ garden. Yesterday I didn’t have to prepare dinner, because it was the Tuesday “cooking course evening”. So I will first tell you what I made on my cooking course. 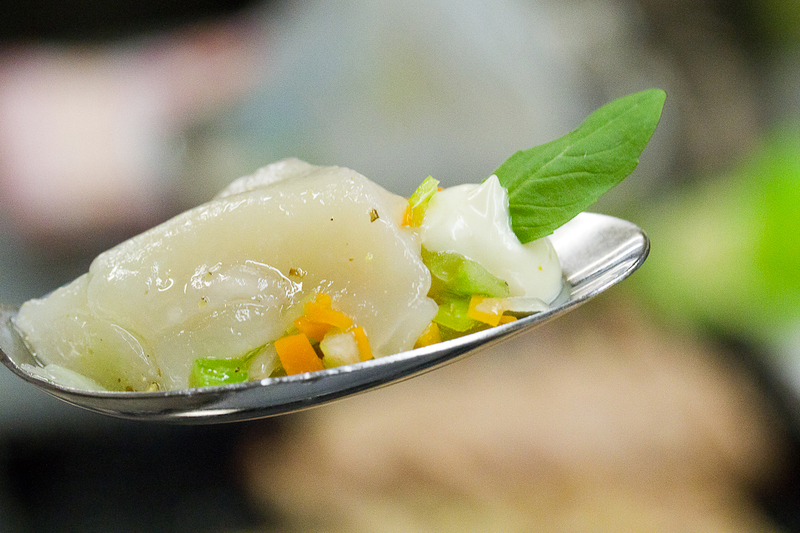 Tomorrow, I will present the second dish of this special week. Although according to me we were with with too much students, it was a great evening. We made three delicious dishes. For the first time, they also looked really nice. 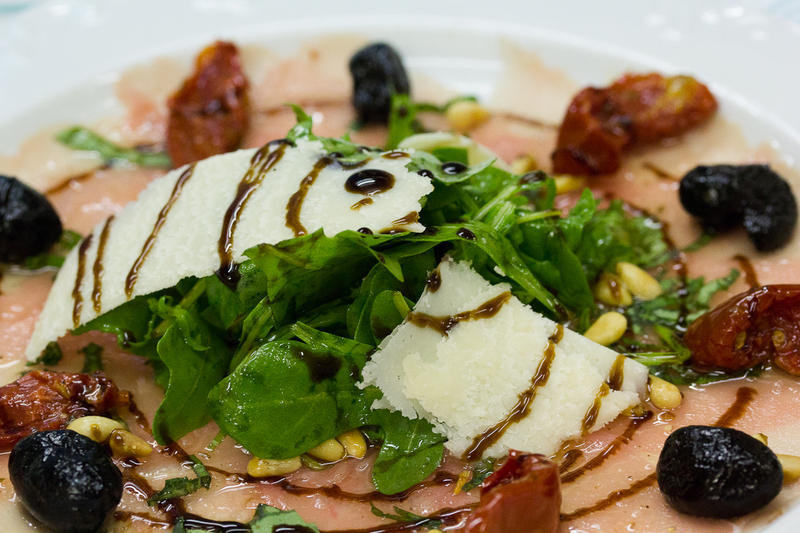 The first dish was a very fresh starter: “Carpaccio of veal with balsamic oil, rocket salad and black olives”. 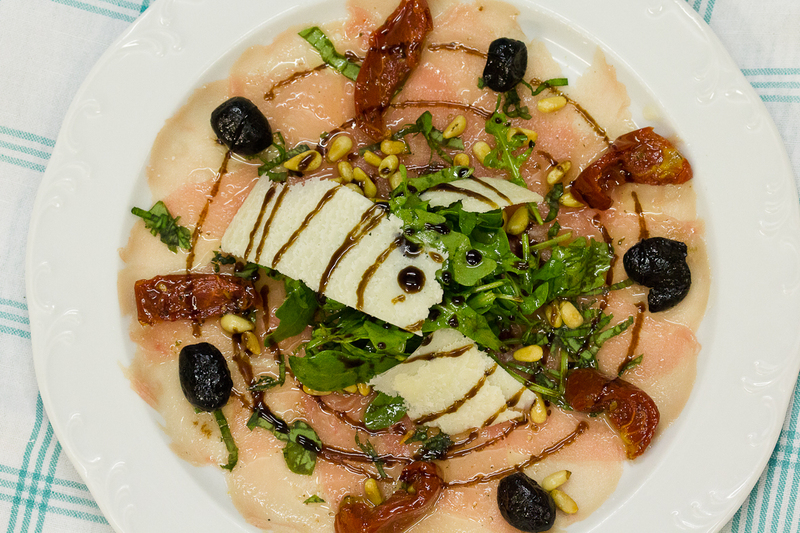 It was the most tender carpaccio I ever tried, I guess. 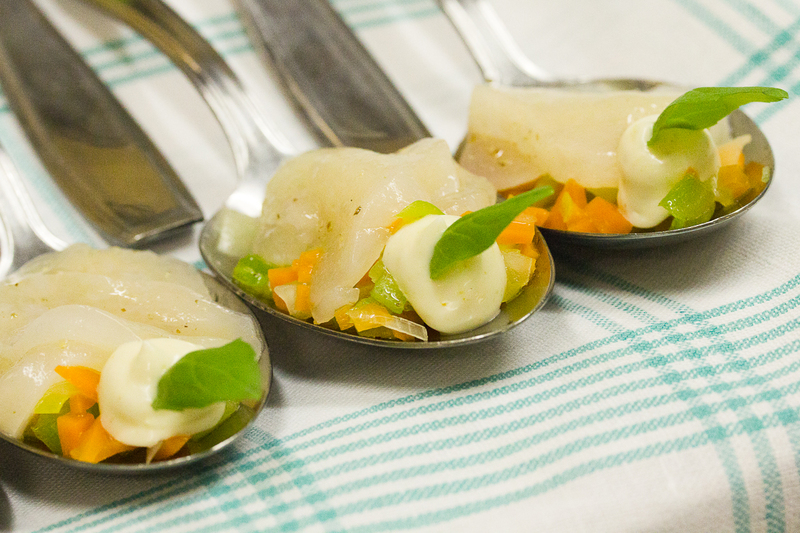 We also made a little appetizer: “carpaccio of scallops, green curry and basil”. It’s easy to make, but it looks nice and it tastes great. Something I will make at home, that’s for sure. 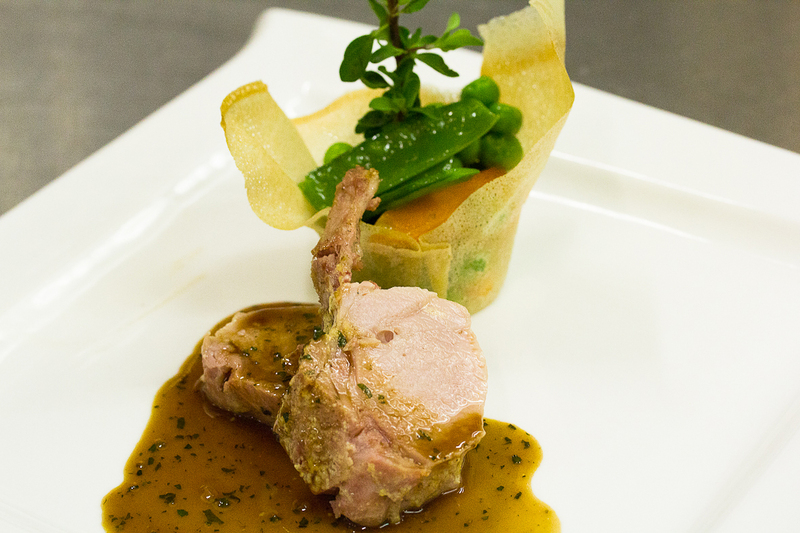 The main dish was piglet with a marjoram sauce, vegetables in a crispy basket and fried potatoes. The meat was really tender. Also the sauce was tasteful. The potatoes were boiled in water with cumin seeds. This was a great idea. I already made it today. Delicious! 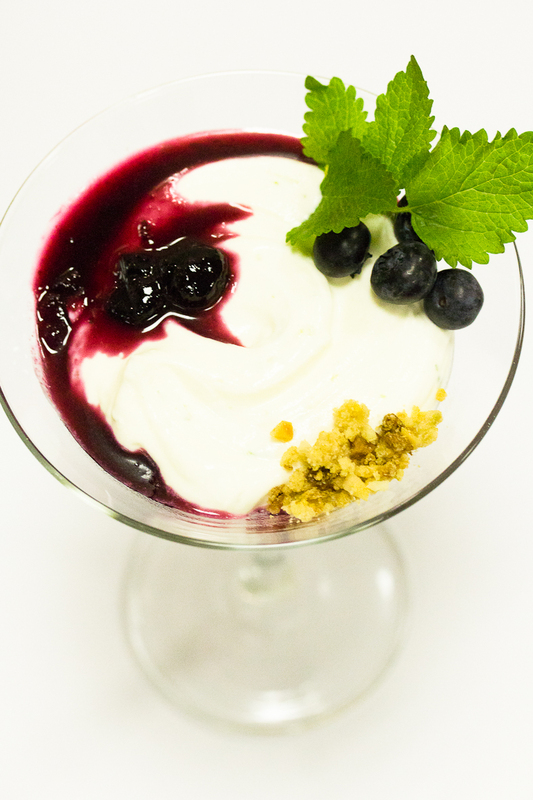 The last dish was a splendid dessert: “Yogurt with a crumble of macadamia nuts and blueberry jelly. 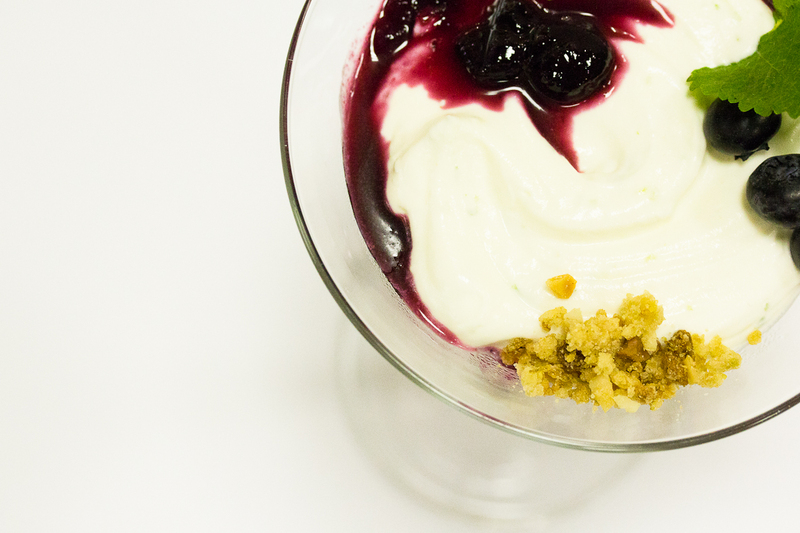 The greek yogurt was mixed with mascarpone cheese and lime juice. A jelly and also the crumble were made of blueberries. The biggest part of the dessert consisted of jelly and blueberries so the dish wasn’t as heavy as you would think. I think the result is clear: 3-0 for chef Jurgen. Other evenings: Evening 1, Evening 2 and Evening 3.